What better way to test out a new mic than to record a full song using ONLY THIS ONE MIC! We used the LCT 540, with an Audient ID4 and an 1173. You can get the 1173 here. The song we recorded only using the Lewitt LCT 540 Subzero is called “Nothing I Can Say.” I wrote this song with Buck Johnson, Aerosmith’s keyboard player (before he was Aerosmith’s keyboard player!) In this version of the song we have Matt Starr (Mr. Big, Ace Frehley) on drums and myself playing the rest of the tracks! 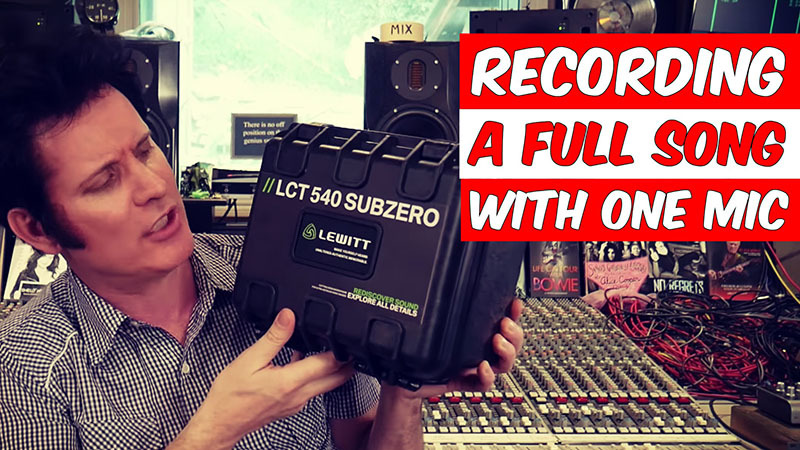 If you’d like to know more about the technical aspects of this mic you can read our post here LEWITT LCT 540 Subzero Review.